How does stress increase risk of drug abuse and relapse? Rationale: The notion that stress leads to drug abuse in vulnerable individuals and relapse in addicts is not new. Most major theories of addiction postulate that stress plays an important role in increasing drug use and relapse. Several animal studies and some human laboratory studies have shown that stress exposure enhances drug self-administration. Although clinical observations suggest that exposure to stress increases drug use, and are associated with craving and relapse in addicts, human research in this area is largely correlational and at times contradictory. Objective: Given the growing preclinical evidence that supports the key role of stress in substance abuse, careful examination of this research area in humans is warranted. 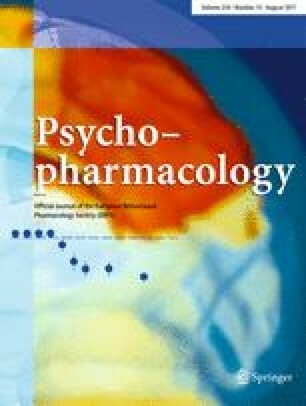 This paper examines empirical evidence on how stress may increase the vulnerability to drug abuse, and explores whether chronic drug abuse alters the stress response and coping in addicts, thereby increasing the likelihood of drug seeking and relapse. Unanswered questions on the association between stress and substance abuse in humans are identified. Conclusion: Preclinical research has shown that stress, in addition to drug itself, plays a key role in perpetuating drug abuse and relapse. However, the mechanisms underlying this association in humans remain unclear. A greater understanding of how stress may perpetuate drug abuse will likely have a significant impact on both prevention and treatment development in the field of addiction.